If confidence is something that you struggle with, might I recommend a dose of Kanye. Yes, Kanye West–the man with an ego the size of a several large stadiums combined. I say “dose” because all of you need is a little of what Kanye has to make you feel entitled to abundance and goodness. When I am feeling low on confidence, I take a swig of the Kanye Kool-Aid. In other words, I use Kanye as my confidence role-model. What Would Kanye Do? 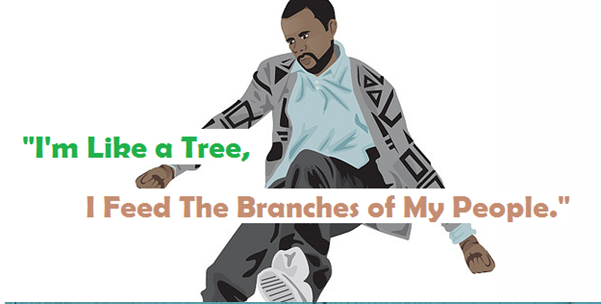 If you can’t see the video about “Yeezus” below, click here. 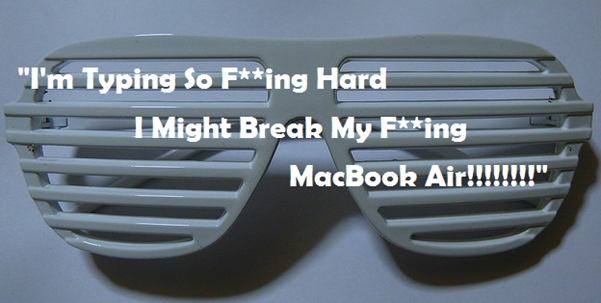 Quality management advice and entrepreneurial tips from “everyone’s favorite rapper.” A funny take on some of the bizarre quotes from Kanye West which have been reworked as advice for small businesses. To learn more about the music mogul, head on over to the Forbes List. Love him or hate him, Kanye West has installed himself at the forefront of our culture with his larger-than-life personality. Controversy follows him everywhere, but there may be an untapped fountain of business knowledge hidden in Kanye’s lyrics, tweets and statements. Lesson 1: Hard Work Reaps Rewards. In this excerpt from his blog, Kanye is showing us in no uncertain terms how seriously he takes producing quality content. He’s obviously putting so much effort into his writing that he’s willing to risk an expensive piece of equipment to make sure his output is of a high quality. That said, he works in the creative industry, so using the artist-friendly MacBook to gain a technological advantage is definitely a good idea. This is a man who is willing to work hard to get a job done. He knows that’s what it takes to get ahead in the world of commerce. Yeezy knows that on your way to the top of your industry, you occasionally need to take a step back and look at your work with fresh eyes. By examining your work with fresh perspective you’ll be able to realize its strengths and flaws and build on them. Kanye knows he’s more than just a Music Fan, but his ability to put himself in the shoes of a normal person is an inspiration to all of us, will be a huge benefit to him in the planning process. Lesson 3: Don’t Take The Road Well-Traveled. Carve Your Own Path. Mr. West doesn’t like to dwell on other people’s mistakes, or even celebrate their successes. He knows the only way to get ahead is to make your own success. You ALWAYS pass failure on the way to success. But dismissing failure is the only way to start winning, and gaining. Don’t bog yourself down with reports and statistics; focus on making your own results. Focus on building success and the profits will follow. Lesson 4: Always Make Notes. 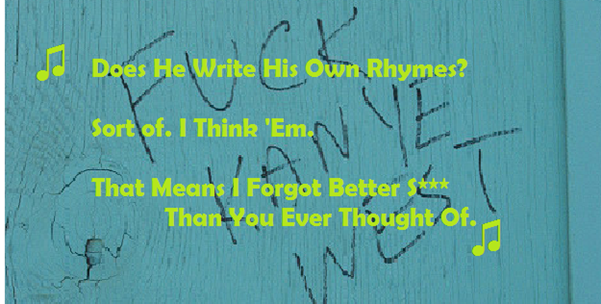 In a rare moment of self-reflection, Kanye laments his lack of organization. Had he taken the time to write down some of his lyrics, he might have found even greater success. Had he asked Siri to take a voice memo, he would surely have made more money. As it is, he’s been left comparing himself to the competition and wondering how big the profit margin could have been. Learn from his mistakes; organize yourself properly and your own work will improve. Lesson 5: Share the Love. This outlines a key responsibility in any managerial role. Make sure you share the rewards of your hard work with the people who have been contributing. If you’re a Shop Owner, make sure your employees are paid a respectable wage; if you’re a writer, make sure contributors are all well referenced; if you’re a rapper, make sure you share your wealth with clinger-onners and your love with groupies. Lesson 6: Don’t Take Your Work Home With You. 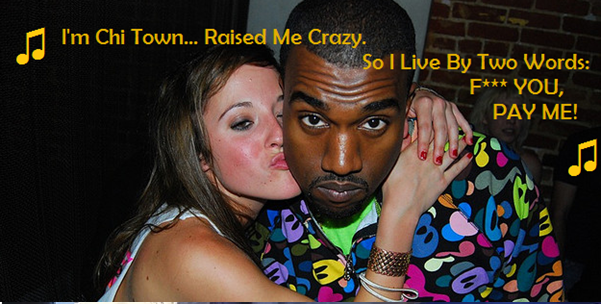 Kanye certainly subscribes to the old mantra: Early to Bed, Early to Rise Makes a Young Man Healthy, Wealthy and Wise. If you start taking your work home, you’ll have no time to relax and enjoy yourself. By all means, after a tough day in the boardroom it may relax you to come home and listen to DMX, Wu-Tang Clan, or even the man himself, Kanye. You wouldn’t use spreadsheets as wallpaper, and neither does Kanye destroy the ambiance of his home with the very thing that’s made him a multi-millionaire. That’s just common sense. Lesson 7: Profits Come First. Anyone who has had to work for a living knows the importance of scrimping and saving. 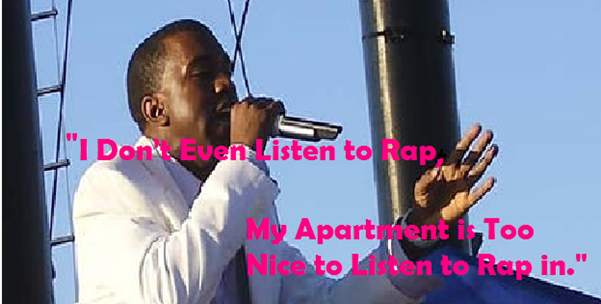 Kanye was famously dragged up in a middle-class suburban area of Chicago. The esteemed Dr. Donda West (whom we adore on this site), respected scholar in her own right, was former chairwoman of Chicago State University’s English department. If anyone knows about hard times, it’s Kanye. That’s why when it comes to business, he’s always upfront about his need for money in exchange for goods or services. He may be wise to invest some of his fortune in maths lessons, since ‘F** YOU, PAY ME!’ is actually four words; but the message is clear: Payment = Profits. Focus on this and you’ll go far in the choppy seas of corporate uncertainty. 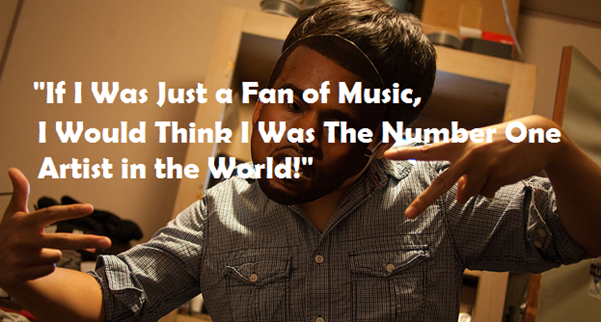 Blogger Joe Shervell is definitely a big Kanye West fan. He worked on this piece for phoenix-training.co.uk, specialists in business training. All images licensed: image author owned. Featured image from Wikimedia Commons. P.S. You can also find Abiola’s advice this week on the following columns and segments: Babble, Nerdpocalypse’s Love School for Nerds, Essence’s Intimacy Intervention and Mommy Noire’s Beauty Love Class and Women Hating Women.